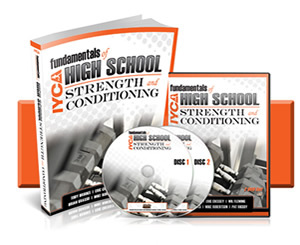 Exactly as I predicted, the “High School Strength & Conditioning Coach” certification has been absolutely flying off the shelves since I released it yesterday. There is an unbelievable buzz at IYCA Head Office that, quite frankly, I haven’t seen in a very long time – the whole Fitness and Sport Training industry is lighting up over this new certification! You receive a certification and gain credentials to work with the fastest growing and most ‘in need’ demographic in the entire sports training industry. You learn the inside secret systems for training high school athletes by some of the most successful Coaches on the planet (Eric Cressey, Mike Robertson, Wil Fleming). Until Saturday January 29, you can own the “High School Strength & Conditioning Coach” certification for a full $100 discount. The lynchpin that is making it so practically every single Coach and Trainer worldwide wants to become a certified “High School Strength & Conditioning Coach”? Did you miss last night’s recording? The complete recording AND PDF transcript of every word that was said is yours… For no charge! Why Youth Fitness Training Is Needed Now More Than Ever! 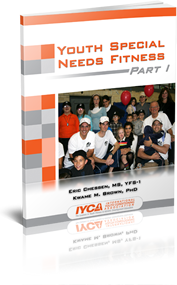 Great fitness professionals that have a passion for youth fitness training are needed now more than ever! Childhood Obesity is on the rise and so is the negative impact that this epidemic has on the youth. I can share with you firsthand what it is like to be overweight as a child and have to suffer though the negative comments and teasing. Luckily I was an athlete so I was able to hide behind my talents on the field and court, but there are many kids that aren’t afforded that luxury. The impact that youth fitness training can have in our society today is huge. Not only is this one of the fastest growing industries but it is also one of the most needed! 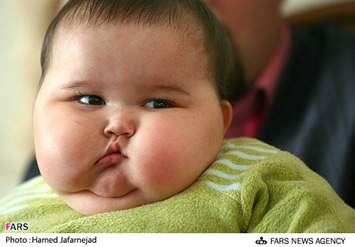 – 34% of 2-year-olds are obese or overweight. That’s a scary Childhood Obesity statistic. However, it doesn’t have to be this way. Fitness professionals get into this industry to help others and what better way to have a huge impact than to change the way our youth fitness training programs are run. Kids no longer get adequate physical education time in schools and they certainly don’t play enough outdoors. They are pinned down in front of televisions, video games and other mindless forms of entertainment to keep them busy. If you have a passion for working with youth and would like to start your youth fitness training program, click the image below to check out the Youth Fitness Specialist Certification and start making an impact today! I received that email from Heath Croll about 3 years ago. My ‘Complete Athlete Development’ system was brand-new and I was anxious for feedback. It’s one thing to coach successfully for 10 years, it’s another thing altogether to put your system on paper and ask people to believe in it. But believe in it they did. Fitness Professionals, Strength Coaches, High School Coaches – even Parents and Athletes! As you saw in my post from yesterday, the IYCA’s mission from Day 1 has been to provide world-class educational solutions for Fitness Professionals who work with any and all young people. We have become the #1 Youth Fitness & Youth Sports Performance organization on the planet because of our unmatched desire to bring the very best information possible to the marketplace. Our recent ‘Special Needs youth Fitness‘ course is an example of that commitment. We don’t ‘dabble’ in youth as a secondary target for our educational material. We don’t offer other options for certification. 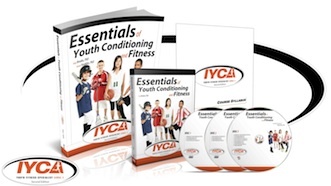 The #1 Solution for All Things Youth Fitness. fitness, athlete development and sport training world. But what is a leader? word as well as its meaning. a group and perhaps becoming their mentor. But upon reflection, I had an awakening. True leadership isn’t simply about ACTING as a leader or mentor. It’s the essence of being ABLE to. Fitness Training For Youth: What More Do You Need To Hear ? I may even say something that offends you. You simply don’t earn what you’re worth. That’s not a matter of greed or indulgence. portion of our entire industry. Worth more than $4 billion annually in the United States alone. can rid their children of excess body weight. Coaches in order to improve their child’s athletic ability. And yet there you sit. 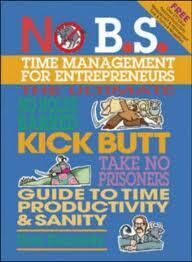 Professional, training unmotivated and unhappy adults. less hours for more money. so desperately want… and need. One man decided not to. He opted to stay in his home and wait for God’s help. As the water rose, he was forced to climb on top of his roof. While there, another man in a row boat came by. A few minutes later, an emergency craft sailed by. line and we can take you to safety". From the speaker, the pilot called down. will fly you to safety." Not too long after that, the man drowned. you. Why didn’t you save me?" "I sent you a row boat, an emergency ship and a helicopter. You don’t earn the living you deserve. You don’t have the career you want. And yet the youth niche is flourishing. the IYCA International Summit in February. I’ll be blunt, brief and to the point with this email. You’re making a big mistake when training young athletes. And it’s the same mistake virtually every single Coach and Trainer makes. It’s got nothing to do with speed, agility, flexibility or strength. It has nothing to do with sets, reps or program design. It’s got to do with assessment and training session length. how they feel on a certain day. most days it’s 100% necessary to do so. Lots of sweat and tons of hard work = good. No sweat and minimal work = bad. ‘John’ came in for his training session with me this past Saturday morning. Of course I have an agenda for this young man. Here’s the advice that you simply must heed when training young athletes. to be sure that the organism in front of you in prepared to receive it. International Summit in February of 2009.
very basic and easy payment plan. something other than presents for their loved one’s. payment plan to assist you with Training Young Athletes. Okay, so I admit to being overwhelmed. My blog is loaded with comments. I received no fewer than 20 emails on the topic. I even had 4 people call me to tell me what they thought. … And I love that! the question – how do you do it? Weight training – Is that safe for a kids fitness program? Speed and Agility – How do you teach that to pre-adolescents? 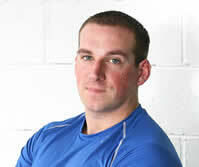 Plyometrics – How much volume, sets or reps? programs for this age group? But it is a very tricky science. results NOW… As completely silly as that is. All the specifics and some samples of how it works? ‘Secrets to Program Design’ course. Coaches and Trainers IMMEDIATELY because of it. I was honored to be asked to present at one of the most important and telling youth fitness events in recent memory. And this was as exclusive an event as I have ever seen. 170+ INVITED guests representing the largest and most influential health clubs and fitness organizations in the world. And I had a literal ‘birds eye view’ of the entire proceedings. I was one of only fifteen of the most esteemed and highly decorated fitness professionals to give their thoughts as to where this industry is headed. And I was absolutely blown away by what I heard. Dumb founded really – because I realized that I was on the ‘right track’ in terms of the Youth Fitness industry’s future. If you plan to be involved in the fitness and sport training industry for any length of time then you need to hear what was said at this conference. This video is a re-count of what I heard and saw. The industry is changing and I wanted to give you a private heads up so you don’t get left behind. I have created an action plan for you. You just heard all the new revelations as to where the industry leaders feel they want to take us. You can spend weeks or even months reacting to the information and trying to formulate a game plan…or you can just listen to me tell you EXACTLY what you need to do next. And this is your ‘ticket’ to make sure you stay ahead of the curve and on the cutting-edge of the market.